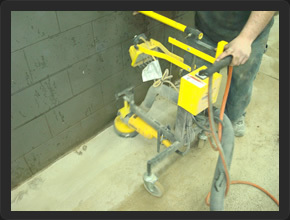 You have decided to begin a decorative concrete project. You’re so excited; can’t wait until it’s done so you can show it off! After calling two contractors, you choose one, pick your design, and anxiously await the completion. When it’s finally finished, you couldn’t be more pleased. It looks FANTASTIC! Your family, friends, and even your neighbors are amazed, and some even decide to decorate their own concrete. You highly recommend the contractor you used; after all, they did such a great job. A year later, your beautifully decorated concrete isn’t looking so fantastic anymore, and you’re starting to worry. It’s peeling, flaking, and looking grungy. Not only are you angry, you’re embarrassed, because one of your neighbors and a relative used the same contractor that YOU used, and recommended! What went wrong? The ICRI (International Concrete Repair Institute,) has identified NINE distinct profile ranges for concrete surfaces. Dukes Surface Solutions has spared no expense on preparation equipment to meet or exceed every industry standard in every area. Of course, to ensure that your concrete will look good for many years to come, there are important steps your contractor should follow during, and before installation. 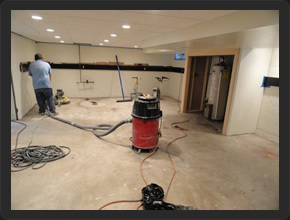 Proper preparation is essential, and Dukes Surface Solutions prides itself on being second to none in this vital area. How well your concrete coating looks and performs long-term, is largely related to the quality of workmanship and materials that go into it. Dukes Surface Solutions uses only the highest quality products, and after so many years in this business, you can trust our experience and expertise to turn your concrete into an amazing work of art you will be showing off as long as you own your home.